Throughout the years, people have often asked us which is the absolute best mattress. This is no different than asking a racing enthusiast which is the best car in the world or asking a fashion designer which is the perfect dress. The absolute “best” product is a combination of quality, durability and the comfort it provides to the person that uses it. When it comes to mattresses, some people are in love with memory foam because it provides superior body contouring and they feel like they’re sleeping on a bed made for themselves. Other people need really good edge support because getting in and out of bed is often a problem if the edges collapse. For them, an innerspring/latex mattress is a much better choice. There is no formula for the perfect mattress, but there are ways to find out which is the right one for YOU. 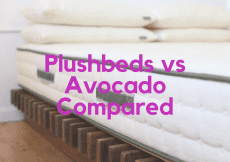 Today, we’re going to compare two mattresses who are quite different. One of them combines coil-on-coil technology with comfort foam in order to create a system that support each part of the body accordingly. The other has created a special layer that’s comprised of polymer columns that collapse under pressure, to evenly distribute the weight of your body on the entire surface of the bed, while calculating which points need more support and provide it to them. Both very different, yet both very qualitative. Care to discover which is which? Free to the continental US. The Tencel cover is a soft and suitable debut for the WinkBeds mattress. Being a plant-based fiber, Tencel manages to please both the organic lovers, as well as the eco-friendly citizen who is looking to switch to more natural products. Because of the Forest Stewardship Council and OEKO-TEX certifications, the plant pulp used in constructing the cover of the WinkBeds mattress is sourced from forests that are responsibly managed. To add even more comfort to the top layer, a foam layer has been quilted, to recreate the pillowtop effect that acts as the first layer of support. Here’s where the added comfort of memory foam kicks in. Beneath the cover of the WinkBeds mattress lies hidden a two-inch layer that combines gel memory foam and super soft foam. Because of the chosen combination, comfort is noticeable the second you lie down, as the hyper foam alleviates pressure points and embraces your body. The added gel memory foam is not only a temperature regulator but also aids in minimizing motion transfer. This is where things really start to get interesting. The first of the two coil layers inside the WinkBeds mattress is 2.5 inches thick and fulfills multiple roles simultaneously. First off, it helps air circulate within the mattress, because of the distance between the pocketed coils. Next, it provides support for both your body and the layer configuration that lies on top of it. Last, but not least, the individually wrapped coils help take some of the edge off, relieving muscle tension and adding some good old-fashioned bounce to the mattress. To transition between the two coil layers, WinkBeds has added a thin one inch pad that also has an additional role: to support your lower back by providing some extra lumbar support. Here’s where the creme du la creme makes an entry, with the 7.5 inch layer of pocketed coils that are ready to support your entire body’s weight. Because the coils are individually wrapped, they allow the air to circulate within the mattress, preventing the surface and the inner layers from running hot. Even more, this layer is divided into multiple zones that are designed to give additional support for key body points. The center of the mattress is enhanced with a stronger set of coils, for better spinal alignment and additional lumbar support. Knowing our way around mattresses as we do, it became clear that a bottom layer made from foam was needed to support the entire structure of this coil-on-coil mattress. This base layer measures two inches in thickness and gives the mattress its shape, as well as acts as the protective foundation of all the other layers above it. The WinkBeds mattress is available in four different firmness options that cater to the needs of individual sleeping positions and personal preferences. While all the four firmness choices have similar constructions, there are slight differences to make each version suitable for its sleeping category. With a rating of 4.5 out of 10 (10 being the indicator for very firm mattresses), the softest version of the mattress is the most suitable choice for side sleepers who don’t want to end up having sore shoulders because the mattress presses heavily against these pressure points. The soft WinkBeds mattress comes with a comfort level that’s designed to provide superior plush thanks to the Euro-pillow top that’s combined with extra pressure-relieving gel foam. The 6.5 luxury firm version of the WinkBeds mattress is also their best-selling model, as medium-firm mattresses are always a popular choice amongst couples that have different sleeping preferences or combined sleepers that like to rest in more than a single position. Compared to the softer version, this one has a 7-zone support coil system (the softer mattress had 5 zones) and a pillowtop that provides a medium feel. Next, we have the 7.5 WinkBeds mattress is the best choice for people who prefer a firm mattress and like to sleep on top of the bed, rather than feel like their bodies are sinking into the mattress. The 7-zone support coil system has been added in this version, alongside a supportive and firm pillow top. The Plus WinkBeds mattress was designed with overweight people in mind, but there’s nothing that says you can’t buy it if you want a really firm mattress. 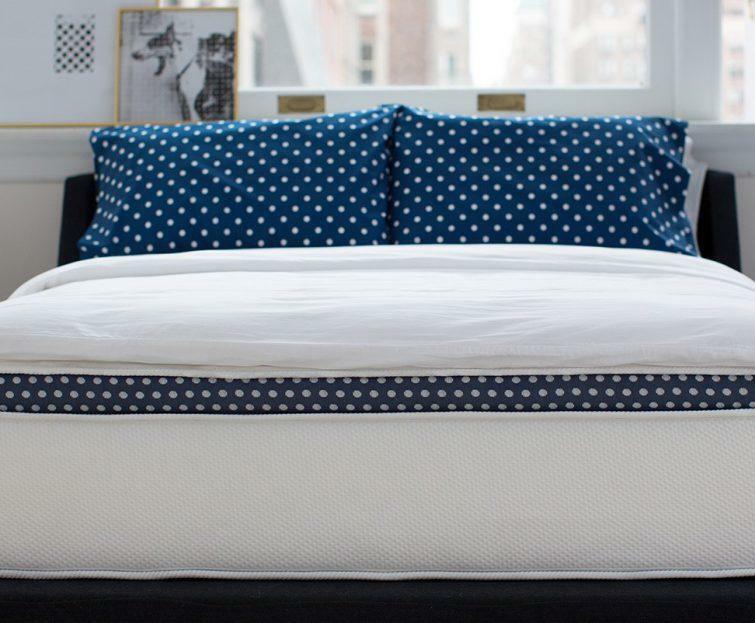 With an overall score of 8 out of 10, the Plus mattress features a 7-zone latex support layer that add extra bounciness to the bed, to minimize motion transfer and facilitate movement. Alongside this latex addition, we find the patented 3-zone TexasQUAD support coil system, which is the next step in supporting more pressure and adding durability to the mattress. With the WinkBeds mattress, what you see is what you get. The feel of the bed matches the firmness of the mattress. Each of the models is looking to bring pillow tops back into the game, but with different levels of responsiveness depending on the firmness chosen. Even the firmest models have a plush feeling when applying hand pressure, but when exposed to the body’s full weight, the feel is pretty much as expected. If you want a mattress with good edge support, innerspring models are always your best shot. And the WinkBeds mattress makes no exception. As expected, the firmer the mattress is, the more edge support it provides. But the entire line of WinkBeds mattress manages to provide exceptional edge support, maybe because of the high density polyfoam encasing that protects the overall thickness of the bed. The three combo blend that stands at the core of the Purple mattress top cover is both soft and breathable: pretty much how you want every mattress cover to be. Being very thin, it allows air to circulate freely on top of the mattress, while the Lycra addition adds that stretch and moisture wicking feature that’s typical to athlete apparel. 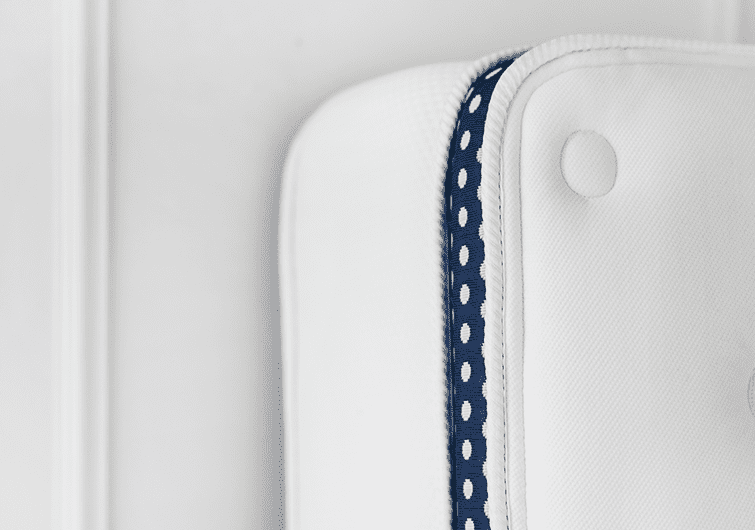 There’s so much to discuss when it comes to the very first layer hidden right underneath the cover. The unique and ingenious construction is meant to create a balance between regulating airflow within the mattress and acting as support for every individual part of the body that’s subject to pressure. This two inch layer is made with polymer columns that are brilliantly conceived to the best support of the sleeper. When pressure is applied to exceed a specific threshold, the columns begin to bend, to provide additional support and pressure relief. The layer is also capable of distributing your body’s weight throughout the entire surface of the grid, in order to determine where increased pressure requires additional support. Moving on, we find the 3.5 inch layer of polyurethane foam, with a 1.8 pound density. This acts as a transition layer between the polymer columns and the actual base of the mattress. Every good mattress needs a sturdy and supportive base layer. Purple mattress has thrown in a four inch block of polyfoam to support the entire weight of the mattress. With its two pound density, the base is what gives the mattress its shape and durability. On a scale of 1 to 10, it’s safe to say that the Purple mattress is a solid 6, being neither the softest or the firmest mattress we’ve reviewed so far. It’s always tough for us to describe how a mattress feels as this really depends on the weight of the sleeper and the different sleeping position that create variable pressure points. What we can tell you is that the polymer layer doesn’t really feel that supportive if you’re a super light-weight person. It takes a little bit of weight to get the columns to collapse and pass the threshold required to activate the extra-support feature. The feel of the Purple mattress is different depending on the position in which you lie down. The top cover is designed to give just the right amount of fluff to match the overall firmness level of the mattress. People who enjoy sleeping on their back will feel a lot of support in the lumbar region especially since the pressure points will most likely trigger the polymer layer’s reaction. Stomach sleepers may not get the same support as back sleepers, but the hips don’t actually sink in as much as we expected. Side sleepers have the biggest advantage when it comes to the grid structure of the top layer. The shoulders and hips of a side sleeper create a lot of weight in condensed areas, which triggers the pressure redistribution of the polymer columns. With a mattress that’s made entirely out of foam, edge support isn’t exactly a chapter that brings high expectations. If you’re looking for the best edge support, always look into innerspring mattresses. When sitting on the edge of the Purple mattress, you will feel a little bit of compression. Even though you won’t exactly roll off the bed, sitting on the edges while putting on your socks may be nuisance. Motion transfer isn’t that much of a issue with the Purple mattress, mostly because the polymer columns in the upper side of the mattress add bounce to the structure, facilitating movement and making sure that no one disturbs their sleeping partner. 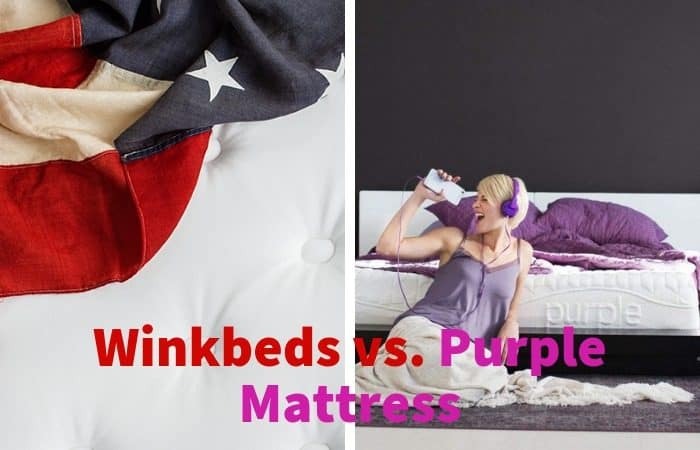 The main thing that’s appreciated about the WinkBeds line of mattresses is the fact there is an option available for every sleeping position and weight category. 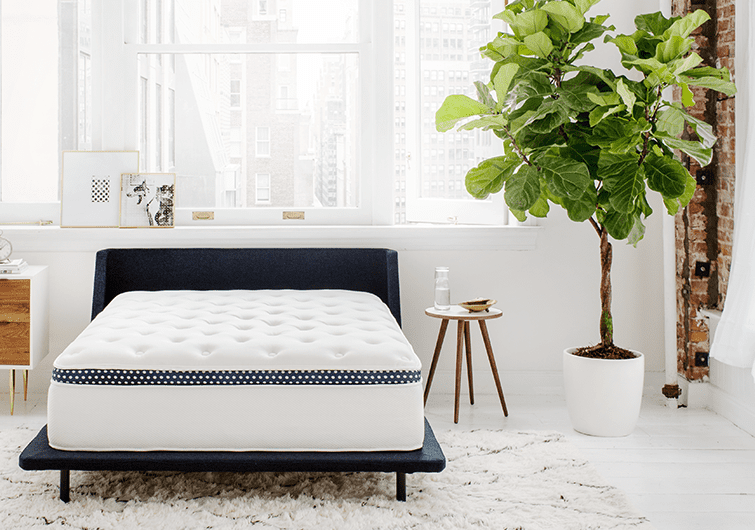 Also, if you’re a fan of pillow top mattresses, you’ll be happy to see that each of the four firmness options has included a pillow top of several firmness levels, to match the needs of individual sleepers. Another great big plus of this mattress line is the coil support zones that were designed to match the pressure points of several sleeping positions, while always keeping in mind the need for lumbar support and spinal alignment. In the end, we always like to wonder: who is this mattress designed for, anyway? 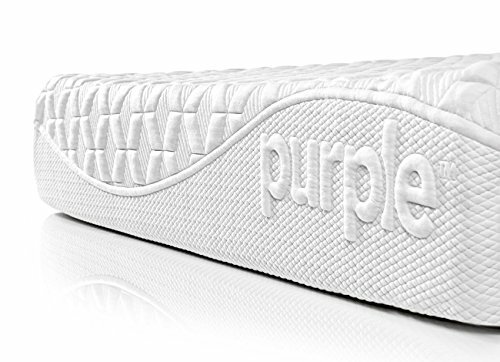 Purple did a really good job in creating a supportive mattress that’s especially useful for people who tend to sleep hot. The design of the polymer layer allows the columns to act as individual air vents that facilitate ventilation and prevent a lot of heat from accumulating on the top side of the mattress. Because of this construction, the upper grid of the Purple mattressadds a little bit of bounce to the bed, making motion transfer fairly easy. Side sleeper, rejoice! 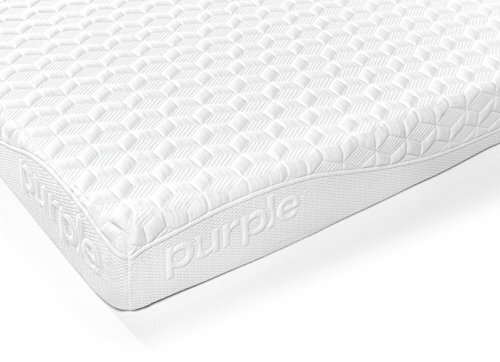 The Purple mattress was designed to provide additional support as more pressure is applied on the top layer, meaning that side sleepers’ shoulders and hips can now be comforted by the construction of the bed. It’s a tough decision… and we’re glad we’re not the ones to have to choose. If we had to boil everything down to the most superficial conclusion, it’s safe to say that the WinkBeds mattress provides more versatility in terms of firmness options available. The fact that it had developed a mattress for those who have a little bit of extra weight is always a good sign, as they’ve expanded their target market. 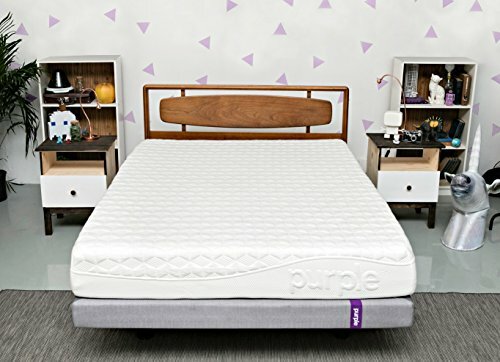 The Purple mattress, on the other hand, is really focused on improving airflow within the bed, as well as on providing support by relieving pressure point and alleviating pain. 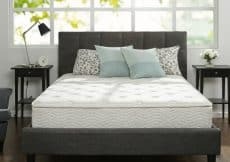 Tuft and Needle Mattress vs Nectar Mattress: Which is the Better Mattress? 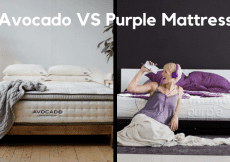 Ghostbed vs Purple Mattress: Which Should You Buy in 2019?